Israeli forces clashed with Palestinian youth during demonstrations Tuesday at a major checkpoint between Jerusalem and the West Bank city of Ramallah. 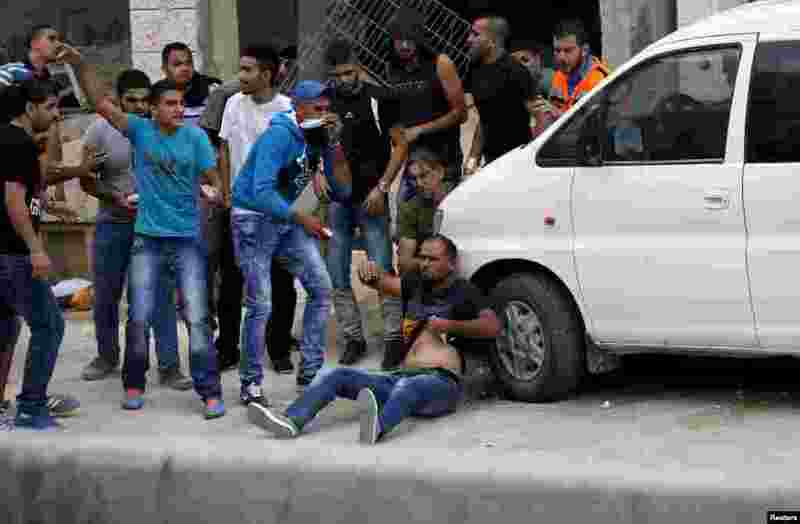 1 Palestinians try to evacuate a wounded man during clashes with Israeli troops at Qalandia checkpoint near the occupied West Bank city of Ramallah, Oct. 6, 2015. 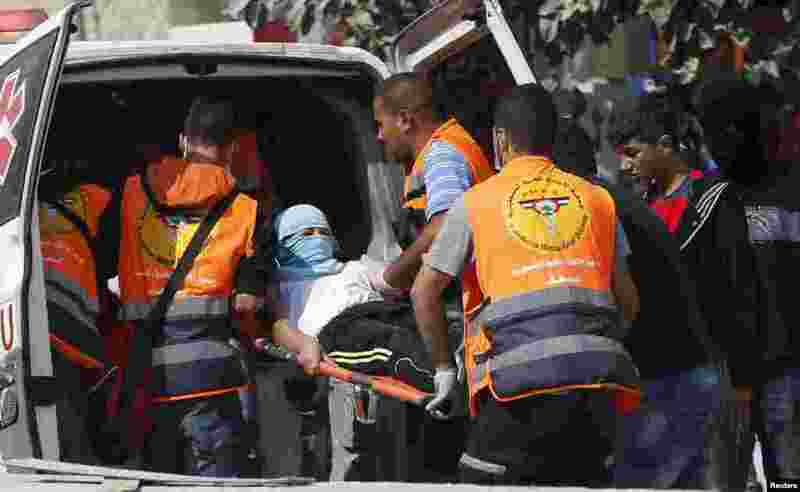 2 Palestinian medics carry a wounded man during clashes with Israeli troops at Qalandia checkpoint near the occupied West Bank city of Ramallah, Oct. 6, 2015. 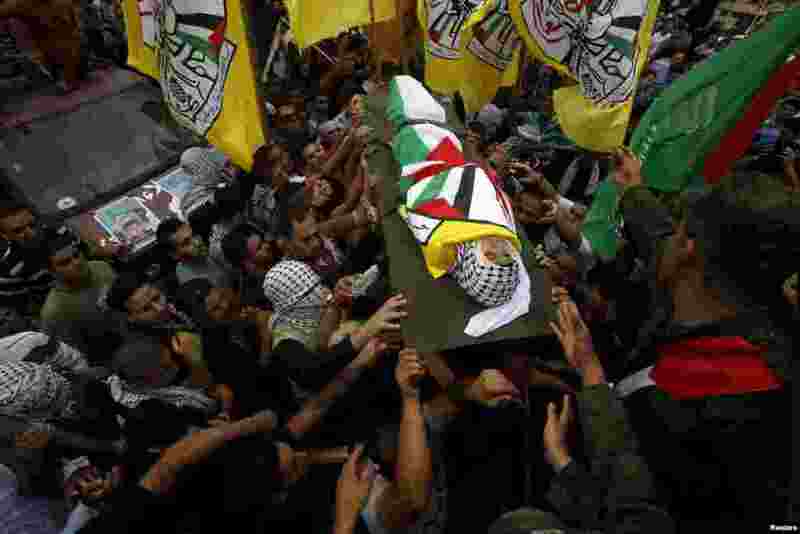 3 Mourners carry the body of 13-year-old Palestinian boy Abdel-Rahman Abeidallah who was shot by Israeli troops during clashes on Monday, during his funeral in the occupied West Bank city of Bethlehem, Oct. 6, 2015. 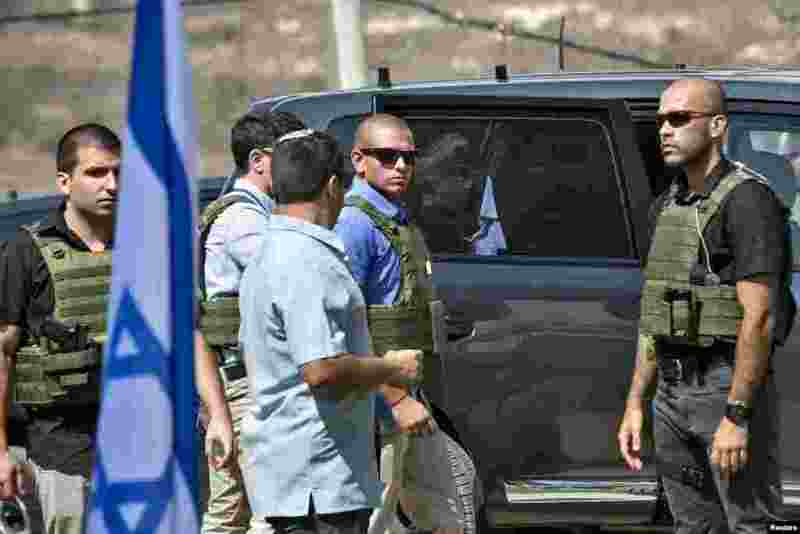 4 Israeli Prime Minister Benjamin Netanyahu steps out of his car as bodyguards surround him while attending a meeting at an army base near the West Bank city of Nablus, Oct. 6, 2015.